Dr Nik Dickerson, HART researcher and Lecturer in Sport Sociology in the School of Sport & Exercise Science, has been undertaking research on mediated representations of ‘race’, gender, marijuana use, and sport. He presented his work at the 2016 European Association for American Studies (EAAS) conference. The conference was held in Constanta, Romania, at Ovidius University. Nik’s talk used queer theory to analyse mediated narratives of the marijuana use, and early retirement of former National Football League (NFL) player, Ricky Williams. It offered a way to think about the humanisation of black men, set against the backdrop of changing marijuana laws in the USA, issues of mental health, and racial inequality within the War on Drugs. Prof Jacquelyn Allen-Collinson and MTOUGH Director, Dr Lee Crust, together with Dr Christian Swann of the University of Wollongong, Australia have been undertaking a phenomenological research project on the lived experience of high altitude mountaineering. Particular themes that have emerged from the findings cohere around endurance and mental toughness in the rarefied air of the so-called ‘death zone’ of high altitude peaks (those above 8000m). This form of mountaineering demands a combination of intense cognitive and corporeal endurance, and takes place in extreme environments, including some of the most hostile and dangerous terrain on earth. In the most recent article, published in Sociology in December 2017, endurance is analysed as cognitively, corporeally and interactionally lived and communicated, in the form of ‘endurance work’. Data emanate from in-depth interviews with 18 high-altitude mountaineers, 10 of whom experienced the 2015 avalanche on Mount Everest. Over the last fifteen years or so there has been a huge growth in interest in local food in cities and towns throughout the western world. 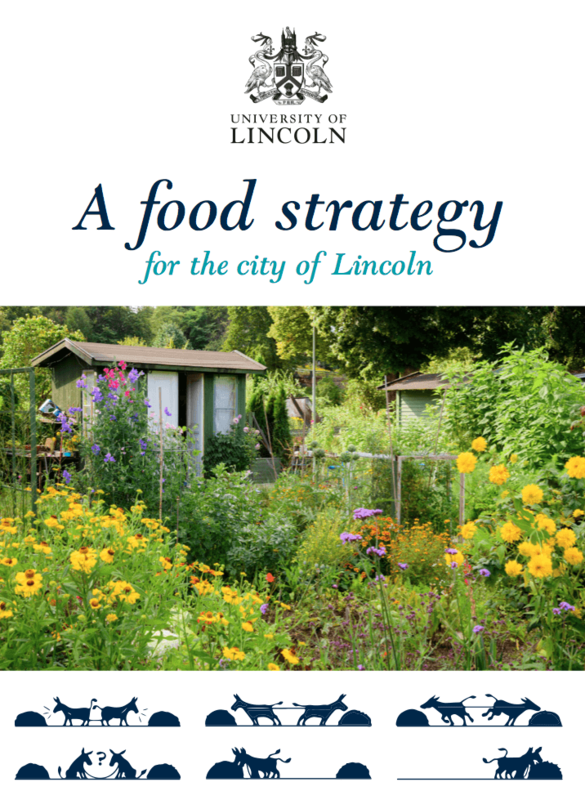 A 12-month HART research project on ‘Local Food in Lincolnshire: improving access to healthy, affordable food for all’ was completed in 2016. 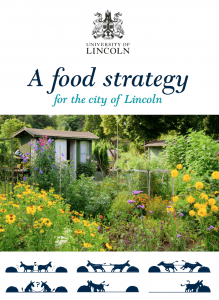 The research involved extensive mapping of a range of food outlets and ‘healthy food’ schemes in the city of Lincoln, working in collaboration with colleagues in the City of Lincoln Council, Lincolnshire County Council and with a range of local organisations. Two highly topical food-related concerns were the drivers of the project. Food waste is a particularly pressing issue within the global food security agenda, and proposed solutions involve local initiatives. Globally, the issue is huge: there is enough food waste going into landfill to feed a billion people. A third of all food produced is lost or wasted each year (50% of the world’s fruit and vegetable production); this not only wastes resources but also contributes significantly to global warming. A further issue that stimulated our interest in local food, is health. Obesity, diabetes, high blood pressure and heart disease are amongst the health problems that often stem from poor diets high in animal (saturated) fats and sugars, and comprising high proportions of processed and ‘fast’ foods, sweetened and alcoholic drinks and over-large portion sizes (Public Health England, 2016, Lincolnshire County Council, 2015). The project commenced in August 2015, with a multi-disciplinary team comprising: Prof Nigel Curry (Project Coordinator), Prof Jacquelyn Allen-Collinson (PI and Director of HART), and HART members and associates, Dr Claire Markham (full-time post-doctoral researcher), Mr Geoff Middleton and Dr Jennifer Jackson, together with Dr Sarah Chaudhary of Lincolnshire County Council. Health Trainers constitute an emergent occupational group in the Public Health system in England, with the key purpose to reduce health inequalities by helping or ‘nudging’ people in local communities to adopt healthier lifestyles. The purpose of the research project was to investigate the occupational role of HTs. Results indicate that HTs suffer from somewhat of an occupational identity crisis and experience role-blurring/contestation with other health professionals. Many reported feeling alienated and undervalued as a workforce, despite the role becoming increasingly challenging, involving handling complex needs of clients. The project findings were published in an article led by Dr Rachel Williams in the Universal Journal of Public Health, which can be accessed here. Mr Geoff Middleton also presented findings at the Public Health England Annual Conference 2016, at Warwick University. Close but not too close: Friendship as method(ology) in ethnographic research encounters. Published in the Contemporary Journal of Ethnography, this article focuses upon ‘Friendship as Method’, a relatively under-explored – and often unacknowledged – method, even within ethnographic inquiry. The article examines the use of this approach in general, and also situates it in relation to a specific research project that examined the lived experience of asthma amongst sports participants. Via forms of confessional tales, the authors explore some of the challenges encountered when attempting to negotiate the demands of the dual researcher-friend role. The acute effects of urban green and countryside walking on psychological health: A field-based study of green exercise. Crust, L., Henderson, H. & Middleton, G.
Published in the International Journal of Sport Psychology, this study provided a more ecologically valid approach (compared to controlled lab experiments) to understanding the psychological effects of short walks (60-90 min.) on mid- to older aged adults in either urban green or countryside environments. The good news is that moderate intensity walking in both environments was related to positive changes in self-esteem and affective states (feelings). Countryside walks resulted in significantly higher levels of post-walk self-esteem and reported enjoyment. While countryside walks appear to provide some advantages in terms of psychological health it is also evident that larger numbers of people live close by, and have access to urban parks that also provide important opportunities to engage in physical activity and benefit from green exercise. Non-disabled secondary school children’s lived experiences of a wheelchair basketball programme delivered in the East of England. Evans, A.B, Bright, J.L. & Brown, L.J. This sociological study, published in Sport, Education & Society, was guided by Bourdieu’s conceptual framework and focused upon the embodied, lived experiences of non-disabled secondary school pupil’s experiences of a wheelchair basketball programme delivered during normal P.E. sessions over a 12 week period. Interview data from 24 participants coupled with observation data gathered throughout the programme highlighted how participants initially negative and stereotypical views about people with physical disabilities were challenged by their participation in wheelchair basketball sessions. Participants increasingly came to view physically disabled individuals as capable and talented athletes as the challenging nature of wheelchair basketball became clear. The Lived Experiences of Diagnosis Delivery in Motor Neurone Disease: A Sociological-Phenomenological Study. Pavey, A., Allen-Collinson, J. & Pavey, T.
Published in Sociological Research Online, this in-depth qualitative study of 42 participants investigated lived experiences of diagnosis delivery of Motor Neurone Disease (MND). As part of the sociological research, participants were asked to provide insight into their experiences of the diagnostic journey. Relatively few previous studies of MND within the UK health care system have employed qualitative approaches to examine the diagnostic journey from a patient perspective. Findings highlighted the need for professional training to emphasize the importance of fostering greater levels of tact, sensitivity and empathy towards patients diagnosed with devastating illnesses such as MND. Evans, A.B. and Sleap, M.
This study presents data from an investigation into older adults’ perceptions of participation in aquatic physical activity. Perceptions focused upon the perceived limitations of the ageing body and potential angst when wearing a bathing costume in the presence of ‘others.’ The difficulties of managing physical and environmental risk were described. Participants experienced the development of new networks of relationships; some participants felt empowered, although the exclusivity of many aquatic activity sessions re-emphasised the status of older adults as outsiders in physical activity. As part of the Research Councils’ New Dynamics of Ageing programme, this funded qualitative research project was undertaken by Dr Allen-Collinson as PI, utilising primarily a Symbolic Interactionist perspective to examine rural elders’ (65+) social networking activity in specific social contexts. More information is available on request from Dr Jacquelyn Allen-Collinson. Evans, A.B and Stead, D.
This study investigated the embodied experiences of professional elite Australasian rugby league migrants in the United Kingdom, including Australians, New Zealanders, Pacific Islanders and Papua New Guineans. Forty elite players from the European superleague took part (36% of the total workforce). Findings highlight the existential nature of migration, and how the intended actions of the players were interdependent with the actions of others so that player careers took unexpected directions. Utilising an autophenomenographic approach, this qualitative research project focused upon the lived experience of a female distance runner, particularly in relation to training in ‘public’ places. Adopting a feminist-phenomenological theoretical lens, the research investigated the lived-body experiences of a non-elite, but serious distance runner. Articles based on the findings have been published in a range of academic journals, including Sport, Ethics & Philosophy, and Qualitative Research in Sport, Exercise & Health. Crust, L., Keegan, R., Piggott, D. and Swann, C.. The purpose of this study was to provide detailed accounts of the experiences of long distance walkers. Phenomenological interviews were conducted with six long distance walkers. Participants reported a cumulative effect with positive feelings increasing throughout the duration of the walk. Long distance walking elicited positive emotions, reduced the effects of life-stress, and promoted an increased sense of well-being and personal growth. Results were aligned to theories and concepts from positive psychology. Middleton, G., Keegan, R., Henderson, H.
Food for Fitness is an on-going multi-component health promotion programme, delivered in primary and secondary schools by community nutrition assistants. The programme uses nutritional interventions aimed at promoting healthier eating practices for children. This service evaluation investigated the receipt and delivery of the programme, as perceived by local stakeholders who had experienced and administered the service. This longitudinal qualitative project was undertaken in collaboration with a co-runner and co-researcher, utilising ethnographic, autoethnographic and autophenomenographic approaches to investigate the lived experience of the senses in distance running and also scuba diving. Adopting a sociological-phenomenological theoretical lens, the research team examined the sensory dimension of sporting embodiment, including the under-researched haptic element. The finding have also been published as part of an edited book. Middleton, G., Henderson, H. and Evans. D.
This study investigated stakeholder perceptions of community-based obesity prevention programmes. Groups who engaged with the research include senior health officials, public health workers and community members. Partnership working, integration of services and quality issues were highlighted as significant by participants. Findings have implications for the design and application of future interventions of this nature. The paper has been published in Health Promotion International.